Bilberry & Eyebright Complex is a supplement containing 3-in-1 herbal traditionally used for healthy eyes. 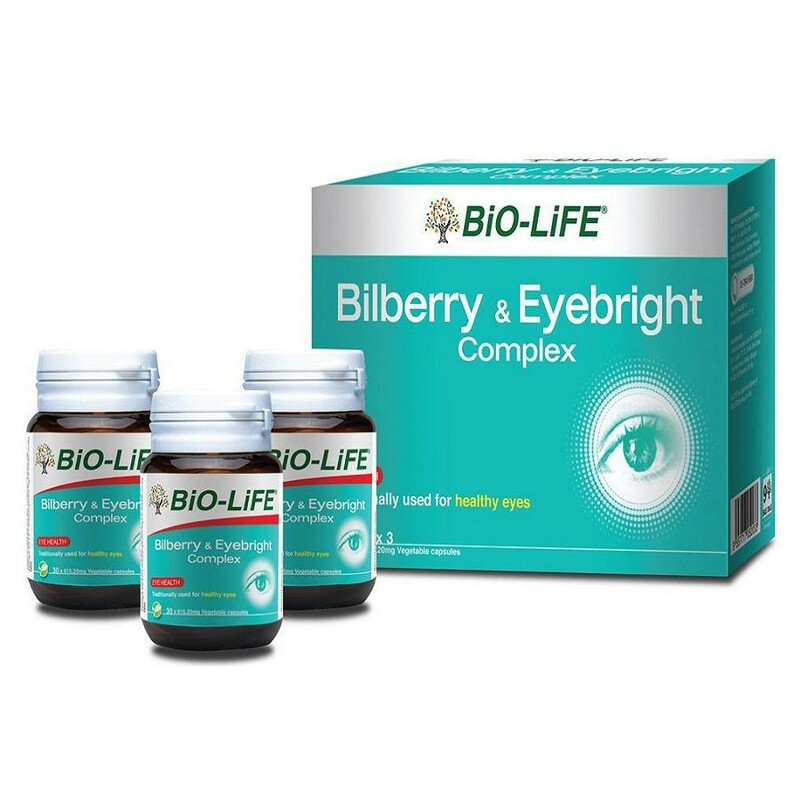 This complete and synergistic formulation makes BiO-LiFE Billberry & Eyebright Complex well suited for maintaining healthy vision. Bilberry extract has been shown to improve delivery of oxygen & nutrients to the eyes. Who need Bilberry Eyebright Complex? How does Bilberry Eyebright Complex helps? Lycium is also known as wolfberry, it is rich in carotenoids which beneficial in improving eye health. Adult: Take 1 capsule, 3 times daily with food or as recommended by your pharmacist. Caution: At very high doses, Bilberry may interact with warfarin and anti-platelet drugs.